I mentioned earlier this week… I was allowed to have a sneak preview of the new Family Movie Night feature Field of Vision that airs tomorrow night (Saturday 6/11) at 8/7 CT. It’s not often you see feel good family movies with a fabulous moral being aired anymore. This one is worth DVRing and watching several times. Cory’s story will capture your heart. I felt so horrible for him every time he was being bullied. A subject matter like this is timely. Bullying is happening more often than you might know. I was subjected to bullying in elementary school and it can be torturous. Using this movie as a platform to open the lines of communication would be a fabulous idea. 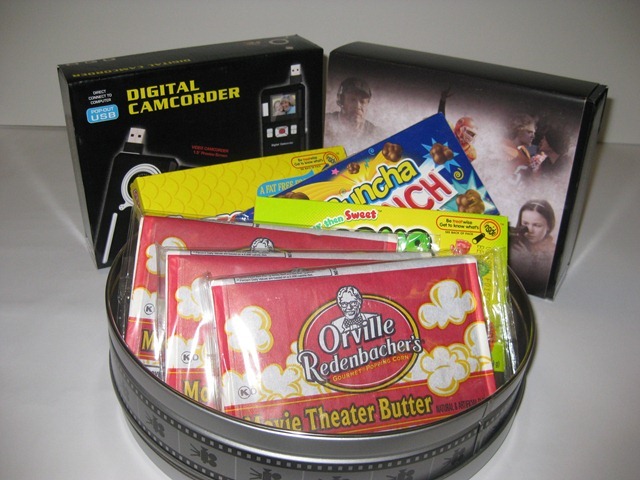 ONE OurKidsMom reader is going to win a Field of Vision prize pack including a digital camcorder (candy may vary)! * Leave a comment below… what is your favorite family movie? This giveaway ends at 11:59PM EST on July 2, 2011. “Disclosure of Material Connection: I received one or more of the products or services mentioned above for free in the hope that I would mention/review it on my blog. I only recommend products or services I use personally and believe will be good for my readers. I am disclosing this in accordance with the Federal Trade Commission’s 16 CFR, Part 255: “Guides Concerning the Use of Endorsements and Testimonials in Advertising.” The opinions expressed in this post are entirely my own. Your experience with the product may differ from mine. The sponsor is responsible for prize fulfillment and will be shipping the winner(s) their prize(s). For more information read my disclosure policy. The number one family movie in our house is CARS. My 4 year old is counting down the days until CARS 2 comes out. LOL! we love all disney movies! Following you via Google Friend Connect (right hand column). my fav family movie is prob remember the titans. love that movie! My all time favorite family movie is Cars! We love the diary of a wimpy kid movie. Our favorite family movie is Mary Poppins. I entered the giveaway at This Mama Loves her Bargains. I entered at Living on Love and Cents. Despicable Me is my current favorite. Yogi Bear is our favorite. Planes. Train, and Automobiles is the funnest movie I ever saw. My family loves Forrest Gump. All time favorite family movie would have to be Rudolph the Red-Nosed Reindeer. I like the Wizard Of Oz. I think it’s a great family movie! A favorite family movie is Cars. Our favorite family movie is E.T. I am Following GFC as Nicole B. Subscribe by email entry 1. Subscribe by email entry 2.
like on facebook – Theresa A.
our favorite family movie is Swiss Family Robinson…old school! My fav family movie is The Princess Bride, love it. Entered this giveaway at This Mama Loves Her Bargains. We like the Shrek series! Entered this giveaway at A Mom’s Take. I entered this giveaway at This Mama Loves Her Bargains. 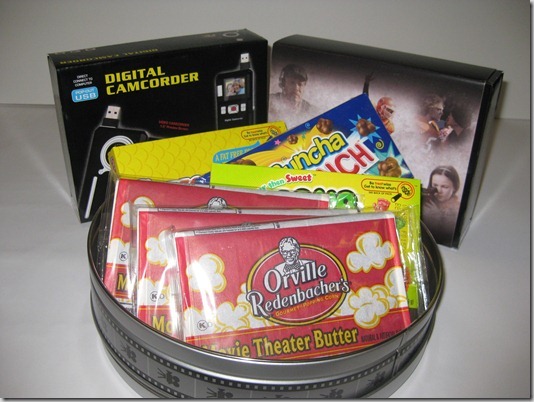 I entered this giveaway at Living On Love and Cents. I entered this giveaway at A Moms Take. My favorite family movie is “The Sound of Music”! I entered on This Mama Loves Her Bargains. My favorite family movie is Alvin and the Chipmunks. We love watching Blind Side. Our favorite movie is Alvin and the Chipmunks. We like Charlie and the Chocolate Factory–the original. The latter version is a bit intense for small children. “Milo and Otis” is my favorite family movie! #1 – I subscribe to OurKidsMom via email. lindsaydelores@gmail.com. Our favorite movie is Wizard of Oz. Favorite Movie? Tough one, because we are movie buffs. Shrek is one we watch often. And Toy Story. I subscribed to OUR KIDS MOM . My favorite family movie is the original Parent Trap. Followed @ourkidsmom via twitter and tweeted about giveaway. Shared about this giveaway on Facebook. Shared via my google email. Follow Our Kids Mom via GFC. Liked Our Kids Mom on Facebook. Subscribed to Our Kids Mom via email. ENTRY #2. Entered this giveaway at This Mama Loves Her Bargains also. Entered this giveaway at Living on Love and Cents also. Entered this giveaway at A Mom’s Take also. My favorite family movie is Up. Andy Warhol’s Frankenstein. Everybody, including my daughters, love horror movies. My favorite family movie is The Chipmunks…cheesy I know but I just love their singing. I like the way you brief about the trailers….it generates interest to watch it. My favorite movie is Pay It Forward. Directed by Mimi Leder. Starring Kevin Spacey, Helen Hunt, Haley Joel Osment. A young boy attempts to make the world a better place after his teacher gives him a school assignment. This is an awesome movie. I think everyone should see this movie at least once. I think I have watched it at least a half a dozen times. The cast was fantastic in this movie. I can’t wait to see Field of Vision. This sounds like a movie I would want to watch over and over with my family. It’s hard finding good quality movies that the whole family can watch with good life learning lessons. Thanks for doing this review and giveaway for all of us~! Our favorite family movie is National Treasure. Our family loves the Wizard of Oz. I entered at This Mama loves her Bargains. Our favorite family movie is Toy Story-1, 2, and 3!!! Our favorite family movie is Toy Story 1. My favorite family movie is Disney’s Aladdin. Anything put out by Big Idea (Veggie Tales) is our favorite. We don’t care much for what they call family movies these days; because they, more times than not, contain inappropriate language, situations, inuendos, etc. Our favorite is the Nightmare Before Christmas! We like My Dog Skip. Our favorite family night movie is Despicable Me! Awesome giveaway! Like you on Facebook as Thuy T.
I subbed for you emails! I entered this at This Mama Loves Her Bargains! Entered this at Living on Love! Entered this at A Mom’s Take! I sent this page to Print Friendly! I stumbled upon this as FairyWater! One of our favorite is Journey to the Center of the Earth. I entered at this Momma Loves her Bargains. I entered at A Mom’s Take. I like you on FB as Tanaya Hunyadi Syx. I follow via GFC as Tanaya_lynn. One of our favorite family movies is Flicka. favorite movie is a tough one…finding nemo is one that keeps my daughter entertained for a few minutes anyway. Anything by Disney is usually a fave – we’re liking Toy Story recently. favorite family movie is toy story! Our favorite family movie is Finding Nemo, even though that is a older movie my kids still like to watch it. I love the Sounds of Music. I’m an e-mail subscriber! Thanks so much for entering me! I entered to win at This Mama Loves Her Bargains . Thanks for entering me! I entered this giveaway on Living on Love and Cents! Thanks for entering me! I entered this giveaway on A Mom’s Take’s site! Thanks for entering me! Our family loves the family movie night movies. We have The Secret of the Mountain and we all enjoy watching it. I entered this giveaway at A Mom’s Take. I like watching shrek with my family. We can all have a good time watching it. The one my daughter and I like to watch multiple times is 1776. Tweeted the giveaway, following via GFC and Twitter Jenn Donnelly and @jdonnelly14 on my next update I’ll add you to my blog roll. It’s got a scroll bar because I like so many different blogs and is listed via most recent post. My fav family movie is probably Fred Claus, everyone in our family loves it. Our favorite family movie The Wizard of Oz! Entered giveaway for Oh Sew Lucky Designs. I think of all time, A Christmas Story. Hubs loved it as a kid and we all giggle when he watches it and laughs like he did when he was a kid. It’s great. On one of the stations, TBS or TNT I can never remember which, they show it for 24 hours at Christmas time every year and we sit together and watch it several times at least. Lol. Follow on Twitter as @lewalk76 and tweeted. Entered at This Mama Loves Her Bargains. Entered at Living on Love and Cents. Entered at A Mom’s Take. My favorite family movie would be The Goonies! Probably Disney’s Enchanted is one of our favorite family movies to watch. We also like Kung Fu Panda. My favorite is Despicable Me. Thanks. So many. I like Bolt, it is too cute. Trains, Planes and Automobiles. It is classic and hilarious. Toy Story is our favorite family movie. Thanks for the chance to win! our favorite family movie is the wizard of oz ,i have watched it every time it shows on tv since i was a little girl,now my children and thier children watch,hopefully it will still be on when my great grandson,gets old enough.i still find parts in it that i never noticed before. the all time greatest movie. Our favorite family movie is Pee Wee’s Big Adventure. We love Home Alone. Thanks for the giveaway. please delete this comment. it’ s extrea. Our favorite family go to movie is The Princess Bride. Hello, my favorite family film is Cocoon. Thanks for a great giveaway! I entered your Radio Shack giveaway. Thanks for entering me! My personal favorite family movie is, gasp, The Wizard of Oz. Old as dirt, I know, but I love that old movie. I’d be watching it alone around here though! My favorite family movie would have to be The Apple Dumpling Gang. Family favorite is Polar Express! Has become a tradition around here! We never get sick of The Incredibles. I most recently say Toy Story 3 and it was GREAT! I really don’t have a fav because I just love so many! I love Shrek and Toy Story, thanks! My favorite family movie would have to be Up. Such a beautiful message, and fun for the whole family. Thanks! Hmmm. Well, the Honey/Hubby can’t stand The Sound of Music (apparently Christopher Plummer/Captain VonTrapp always hated it too!) but we do all enjoy the classic Fantasia and so many more than my brain freezes up just thinking about it! Our favorite family movie is ‘How to Train Your Dragon” and we watch it often.